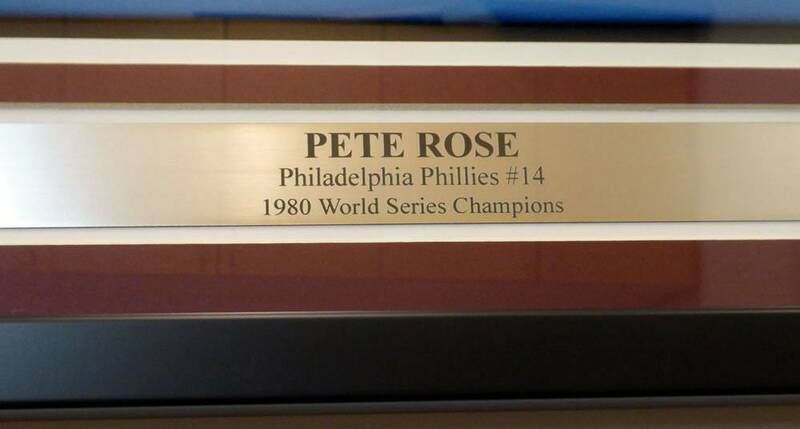 You are viewing a Framed Philadelphia Phillies Jersey that has been hand signed by Pete Rose, who added the inscription "1980 WS Champs". 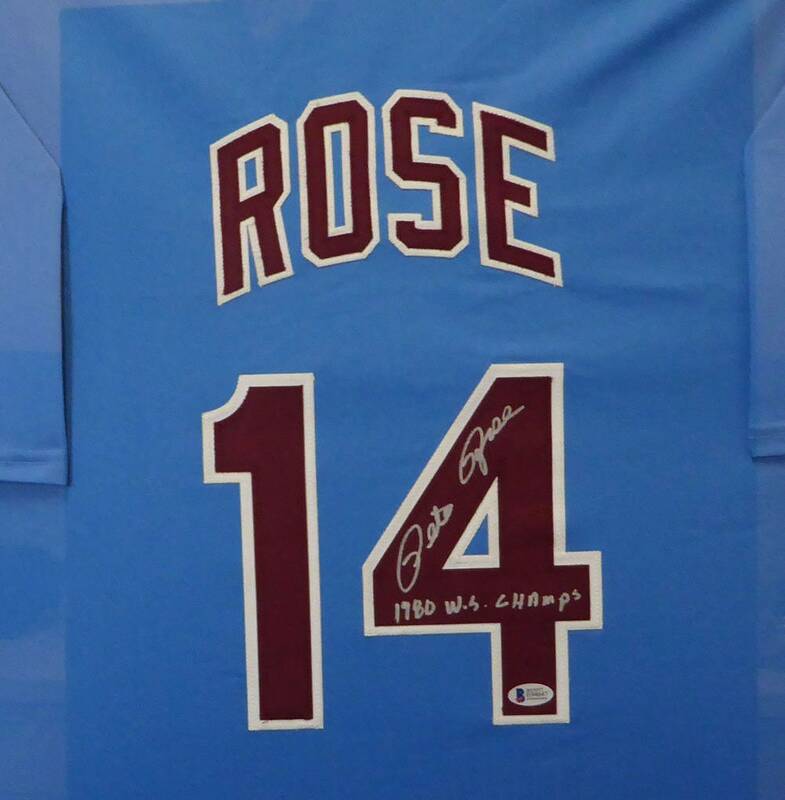 Jersey is size XL. 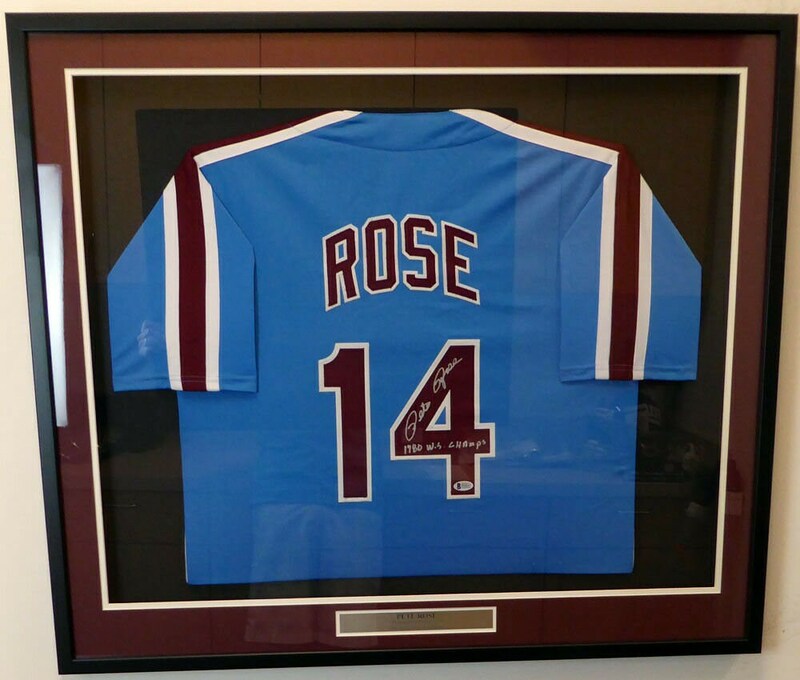 Frame measures 31x36. 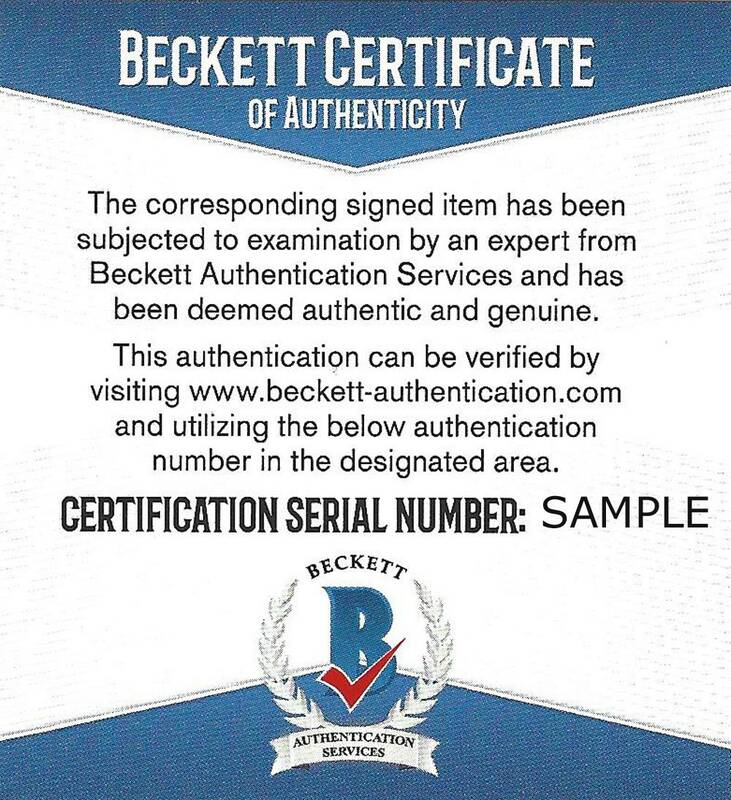 This item has been certified authentic by Beckett and comes with their sticker and matching Certificate of Authenticity. Mint.